Healthcare is as much about politics as it is about taking care your well-being. As U.S. political administrations change every four or eight years, new leadership often results in changes — real or proposed — to healthcare coverage. By and large, these changes don’t happen overnight, which could come as a relief for anyone currently enrolled in a 2018 Marketplace plan. According to Healthcare.gov, those actively covered by a 2018 health insurance plan through the Marketplace will have some choices when it comes to coverage in 2019. 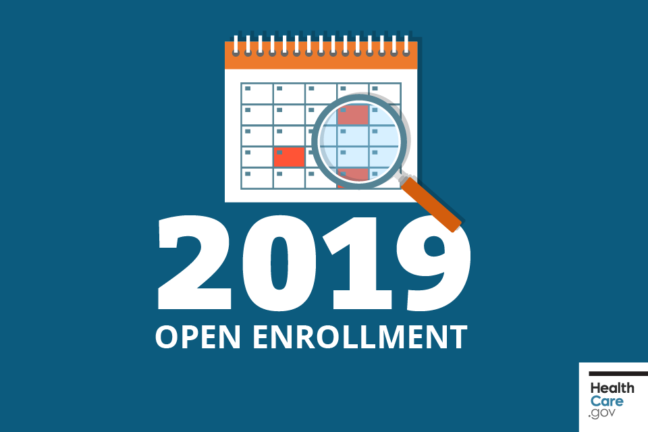 As in the past few years, 2019 Open Enrollment begins on November 1. At that time, those covered by a 2018 Marketplace plan will be eligible to continue, change, update, or cancel their existing coverage. Beginning on November 1, it’s a good idea to update any and all information concerning your income and household. After all, a lot can happen in a year and it’s important to ensure that your information is up-to-date in order to access accurate savings. Updating your income and household information allows you to then review all of the plans available to you so that you can enroll in whichever best fits your needs and budget. Once you’ve submitted payment for your preferred plan, you can expect coverage to begin on January 1, 2019. Check the healthcare.gov website for a chance to preview available plans ahead of November 1. Even if you’re happy with your current coverage, just take the time to see if a better plan exists for your specific situation. Expect to receive a letter from your insurance carrier and one from the Marketplace by November 1, which will explain the plan you will automatically be enrolled in, if you fail to update your information and make a new selection by December 15, 2018. These letters will also alert you to any changes in your current coverage, so that you can make a decision whether to renew or elect a new plan for 2019. Every year, new plans and pricing are available, one of which might be a better fit than your current coverage, especially if your health, marital status, or family size has changed. Accurately updating your income information is key to keeping or extending the financial help you need. When applying for financial help, make sure you report what you expect to make in 2019, not what you made in 2018. If you don’t, you could easily pay more than necessary per month. If you feel overwhelmed by this process, you can always call 1-800-381-2596 to discuss your healthcare coverage continued under the Affordable Care Act.